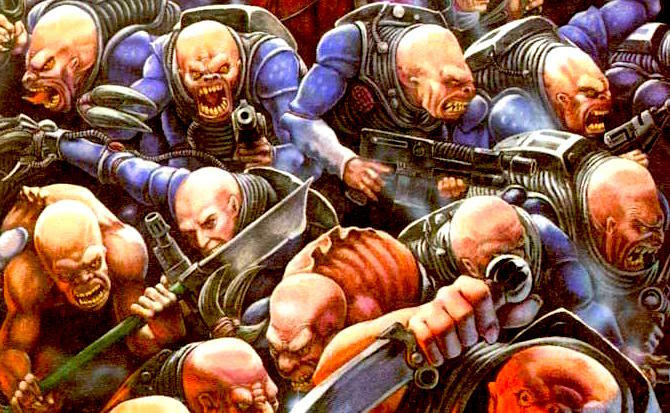 Games Workshop is teasing more Genestealer Cult info & we have a GC product list for the week! “The day of reckoning draws near. On 24th September we will get a 104 page codex for Genestealer Cults. Lots of background, full army list (well duh!) but with Astra Militarum – converstion gallore commence! The Cults will get their own six objectives (available to buy as well), 8 new formations, looted wargear. On top of that they will get Broodmind Discipline (Hivemind equivalent?) and psychic powers, seven of them. Painting tutorials as well on schemes and iconography. Of course there will be some miniature boxes as well, some re-released some with new frames (Hybrids). 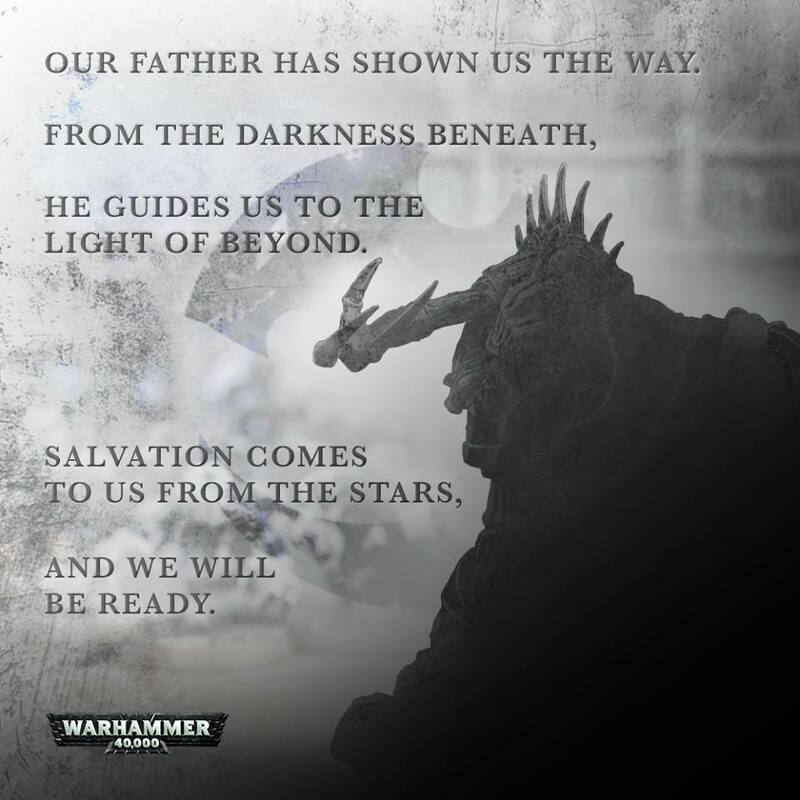 That lines up with some of the info we’ve heard about the Genestealers. The Acolyte and Neophyte Hybrids are also reported to be multi-part plastic kits. We also have conflicting reports on if these kits are or aren’t the Deathwatch Miniatures reboxed. Here’s hoping for More Genestealer Cult Info! What are you most excited about?